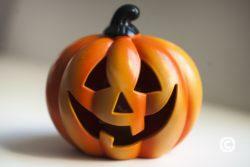 It is almost Halloween time, and we bet you are wondering if we will be having any Halloween activities? We will! Head to our Grab N’ Go Café for a spooky good time! Crown Reef will be having their annual Halloween event, and this year we are hosting a family-friendly costume party for all ages! Please come by to enjoy the FREE contest, games, music, and dancing from 7:00pm to 10:00pm. Other activities included spooky slime making and mini pumpkin painting, both for $5 each. If you or your kids would like glow in the dark items, we have them available for purchase, ranging from $3-$10. If your family is hungry, Loco Gecko has their regular menu for guests to purchase food and drinks from. Sign up and find out more about our prizes and join us for a SPOOK-tastic time! Broadway at the Beach is also going to be hosting family-friendly activities. On October 31, stop by any time between 4:30 p.m. and 6:30 p.m. for trick-or-treating. They are also throwing their annual free Fireworks Extravaganza show at 8 p.m. Come celebrate if you are still in town for Halloween! Check out what else is happening in Myrtle Beach for Halloween, as we have many other events for the holiday!